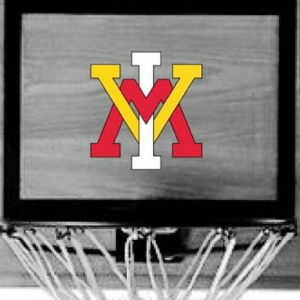 Looking to resume conference play with a win and close the 2018 calendar year on the right note, the VMI basketball team fell short of its goal as host Samford claimed a 96-68 win over the Keydets Saturday afternoon at the Pete Hanna Center in Birmingham, Alabama. The Keydets (6-8, 0-2) were led by sophomore guard Bubba Parham, who put up 24 points on 8-20 shooting including six three-pointers. The tally marked his 14th career game with over 20 points scored these past two seasons. VMI struggled to contend with Samford in the interior as the Bulldogs outscored the Keydets 40-12 in the paint and claimed 46 rebounds to 28 for VMI. “We have to get on the offensive boards and give ourselves some second chance opportunities or try to figure out how to get some steals and be more active on defense,” VMI coach Dan Earl said. “We knew that they were going to ball screen and credit to them that it was working but we just couldn’t keep them in front of us. We tried switching our ball screen defense. They did a good job driving and Kevion Nolan made some big shots. Samford also had production from the bench with 44 points coming from reserves while the injury-depleted Keydets registered 19. Samford’s hustle paid off with 12 second-chance points and 27 points off VMI turnovers throughout the contest. Three other Keydets logged double digits as Myles Lewis and Jake Stephens both had 11 points while Greg Parham had 10. Parham’s 10 points marked the first time since the American game on November 27 that he tallied double digit points. Samford (11-4, 1-1) was led by 23 points from center Ruben Guerrero with Kevion Nolan contributing 15. Josh Sharkey, Stefan Lakic and Logan Dye each finished with 11 points on the night. The Keydets return to action next Saturday, January 5, with a conference home game against UNCG set for a 1 p.m. tip at Cameron Hall.